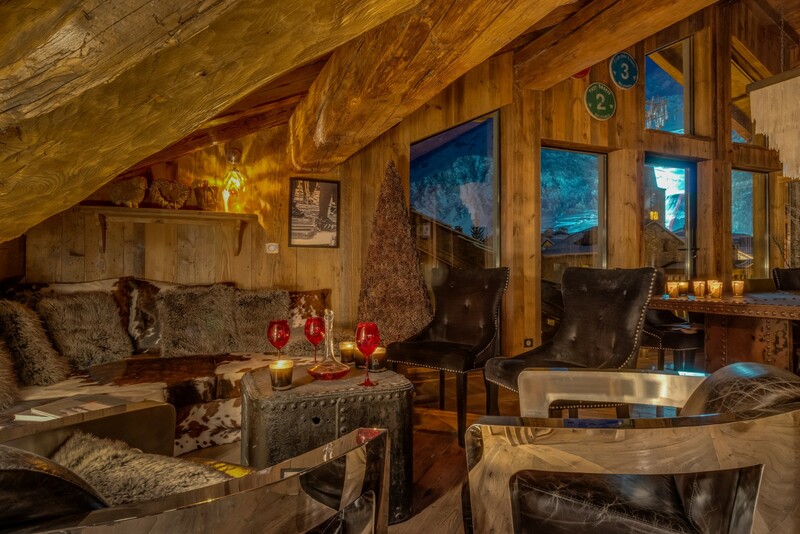 Chalet Lhotse Val D'Isere. 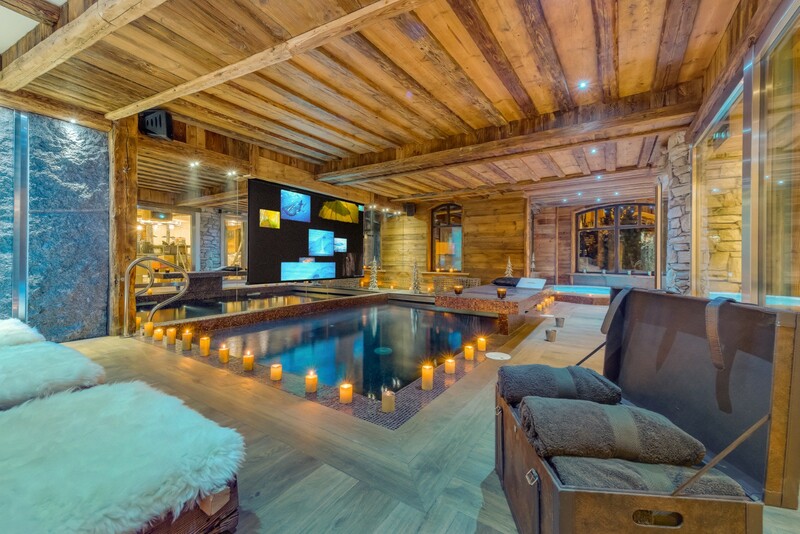 A perfect blend of rustic and contemporary, the astonishingly beautiful Chalet Lhotse provides ski enthusiasts with one of the most luxurious settings imaginable. 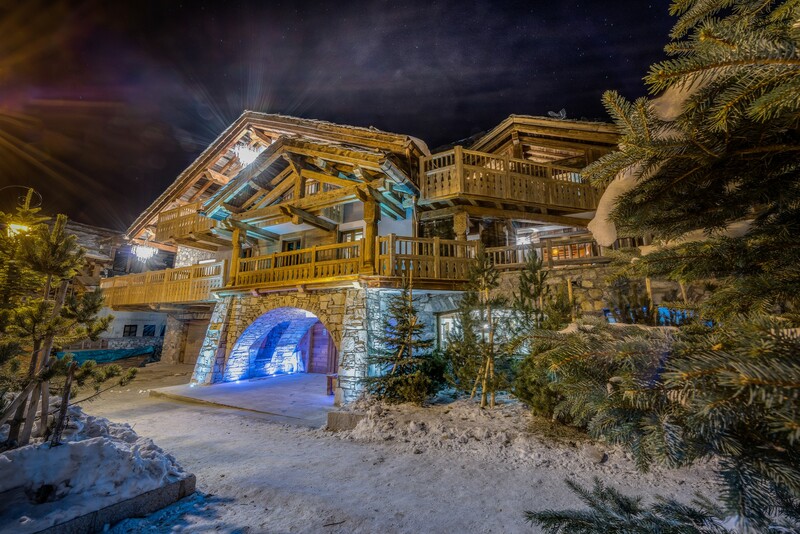 Set within the Val d'Isere Village, it is just a short walk to the Solaise lift or a chauffeur driven 4x4 ride to anywhere else within the resort. In addition to the chauffeur, your visit includes the services of a professional chef. 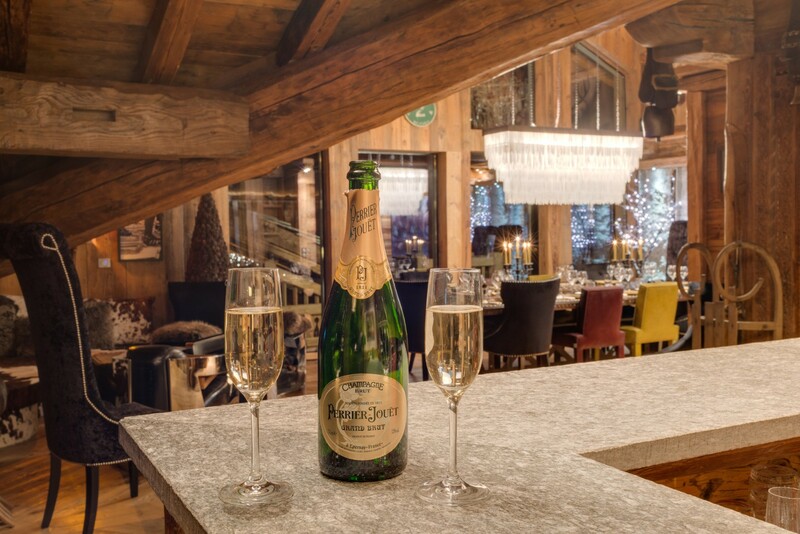 You are welcomed with a champagne reception, and six days of the week you enjoy a canapé and champagne service before your five course dinner. Every day begins with coffee or tea in bed, and the chef then prepares daily breakfasts and afternoon tea. 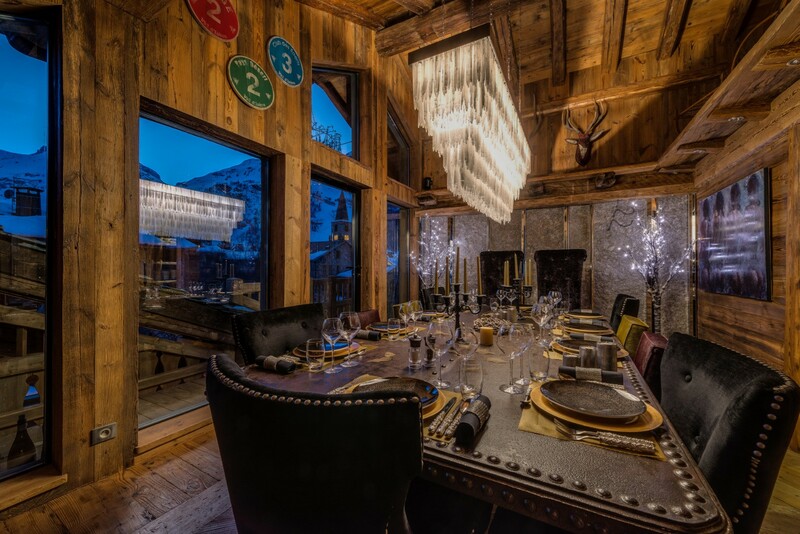 Children's dinners are available every night, and there is an open bar too. 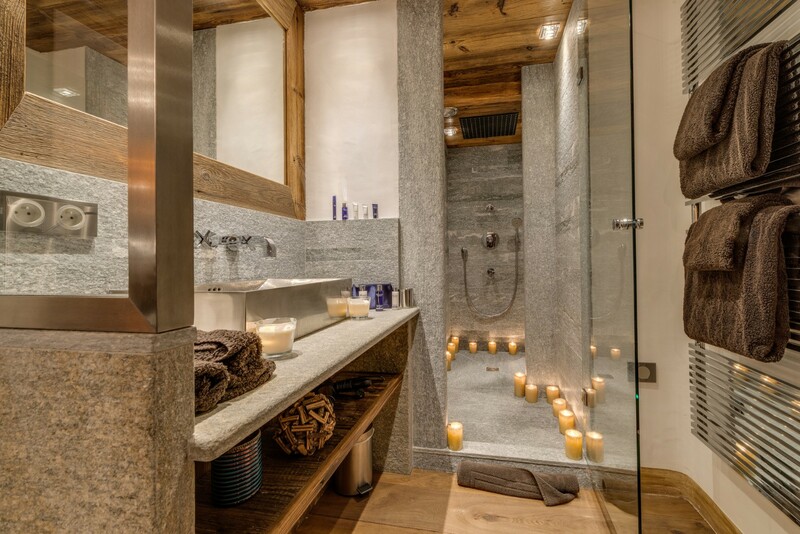 Housekeeping is part of the service as well as a dedicated chalet manager. Fresh flowers and daily newspapers are all part of the experience too. 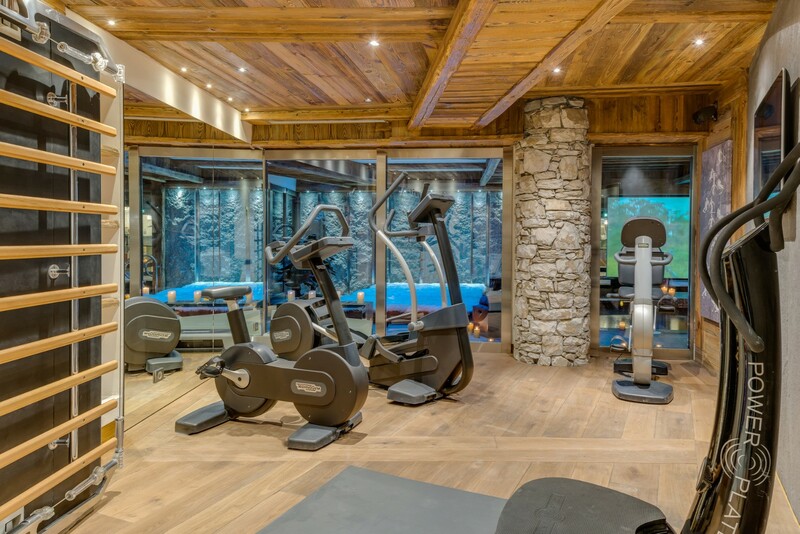 Of course, the chalet itself may become your only destination thanks to its surprising amenities and services. 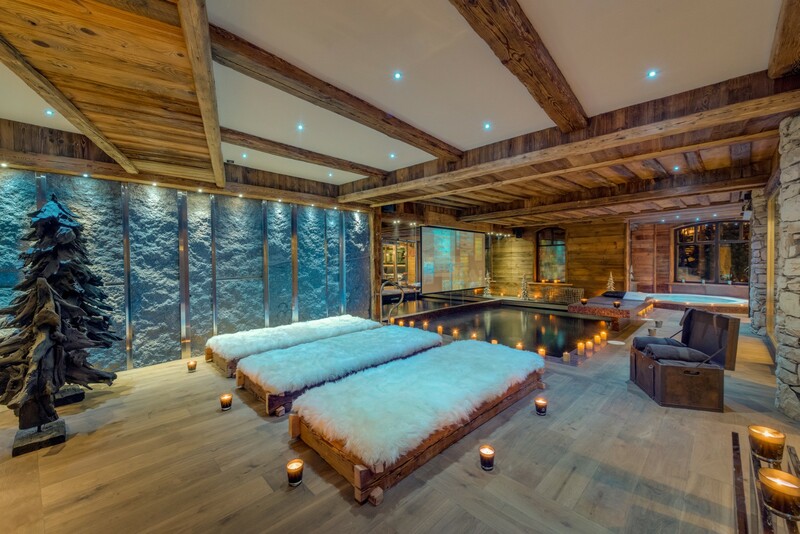 Visitors will love the indoor pool area that features banks of glass facing the woodland setting. 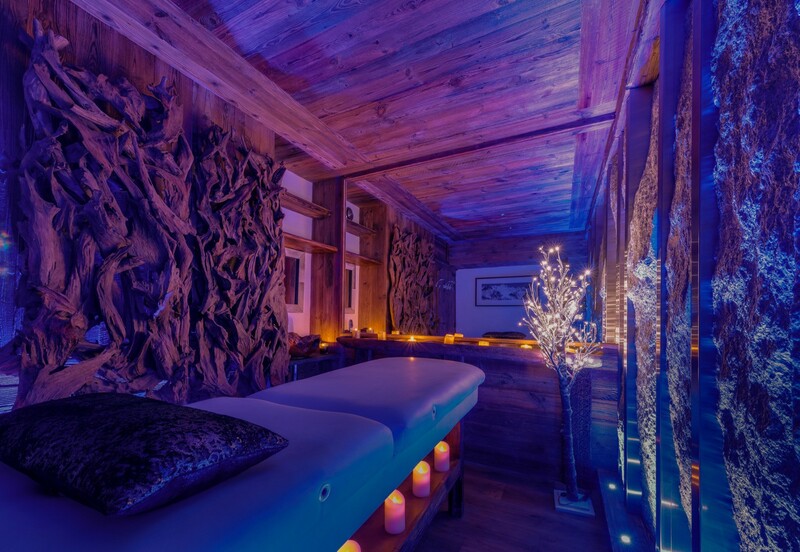 Nearby sun beds encourage hours of relaxation, or you can savor the hot tub, time in the massage room, or a few hours in the fitness room. 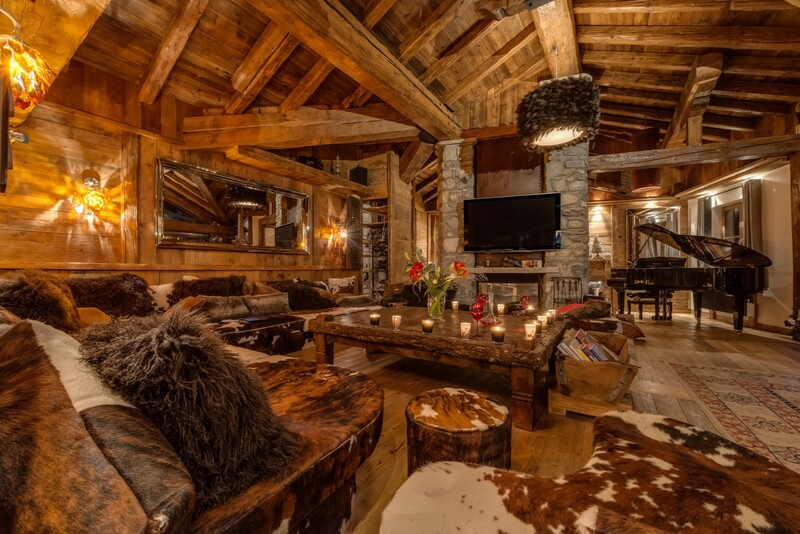 The shared living spaces on the main floors are also impressive, featuring the heavy beams and oversized furnishings that say "lodge" with a dash of style. 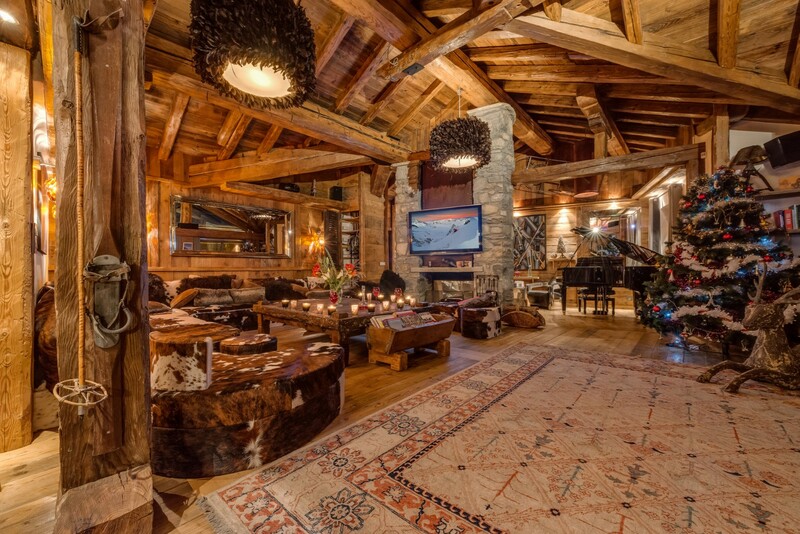 The great room includes a stone fireplace and massive banquette, a grand piano and entertainment area, lounge and private bar off the dining room. 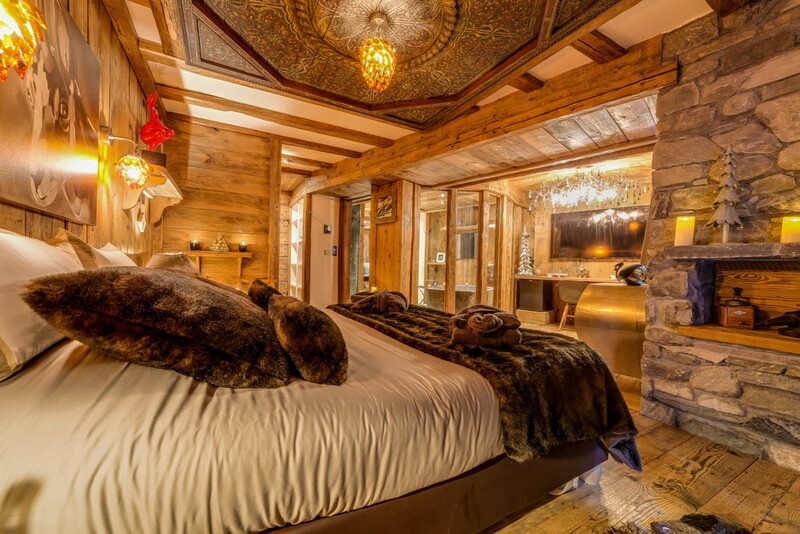 The bedrooms are also remarkably luxurious retreats that include a master suite with private entertainment room, fireplace, office and terrace with Jacuzzi. 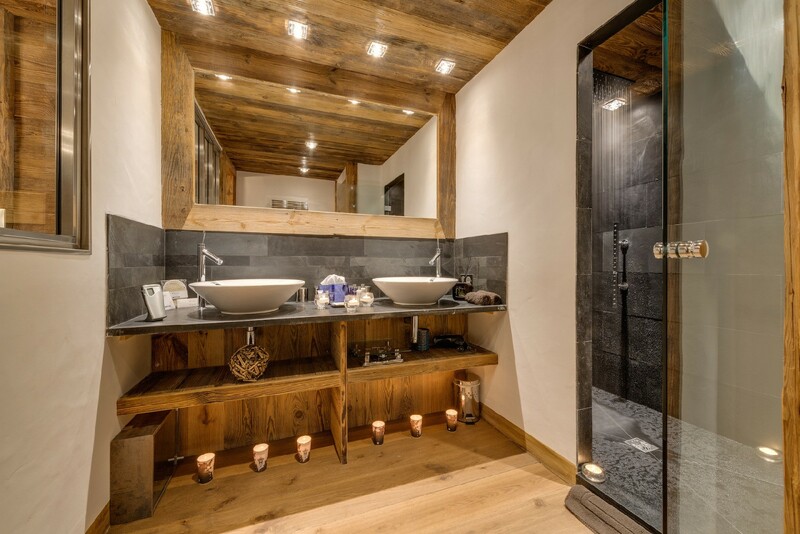 It has a stone bathtub in the private bath as well. 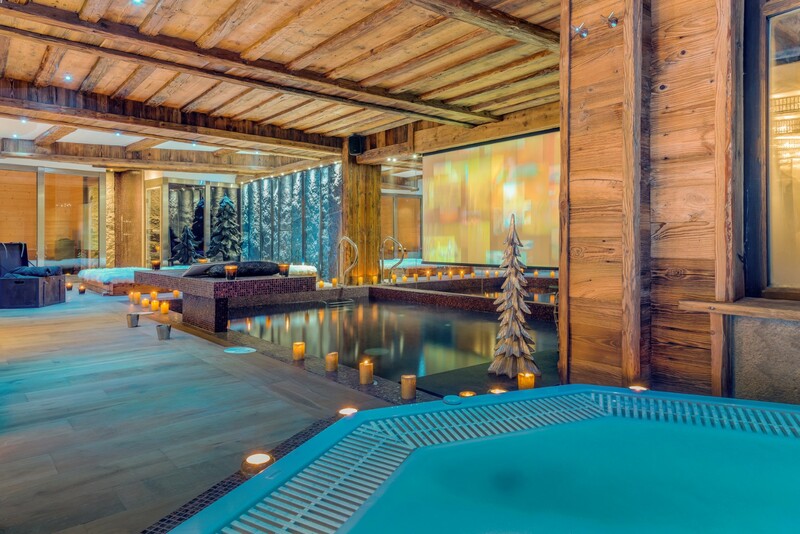 There are three king suites with premium entertainment systems and private baths, but one adjoins a children's bunk room as well. 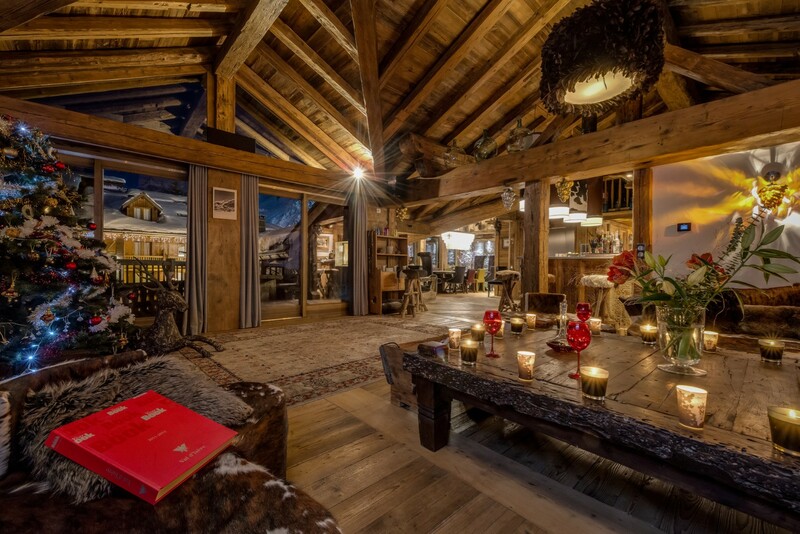 Clearly, the Chalet Lhotse is the epitome of ultra-luxurious and would be ideal for a group or family seeking the finest ski holiday. Getting there by train : Closest station Bourg St. Maurice 40 mins. 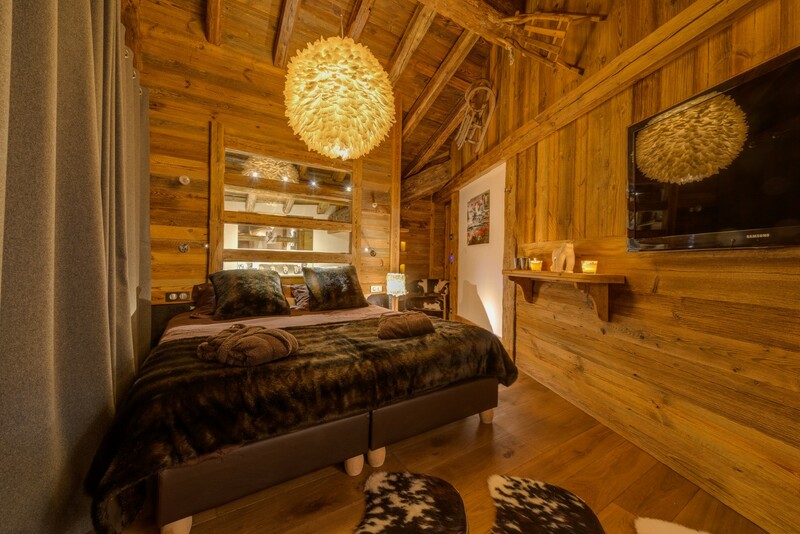 Chalet Lhotse sleeps 12 adults plus 2 children in 6 bedrooms plus an adjoining bunk room. Bedroom 1 : Master Bedroom with king-size bed (can be made up as two singles upon request), heating, WIFI, projection screen TV, iPod docking station, log fire, office area, access to terrace with Jacuzzi, dressing area and en-suite bathroom with stone bathtub, separate rain shower, vanity, hairdryer, mirror TV and separate WC. 2 guests maximum. Bedroom 2 : Bedroom with king-size bed (which can be made up as 2 single beds upon request), heating, WIFI, plasma TV, iPod docking station, access to the terrace with Jacuzzi and en-suite bathroom with shower, vanity, hairdryer and WC. 2 guests maximum. Bedroom 3 + Adjoining Children's Room : Bedroom with king-size bed (which can be made up as 2 single beds upon request), heating, WIFI, plasma TV, iPod docking station and en-suite bathroom with bathtub / shower, vanity, hairdryer and WC. 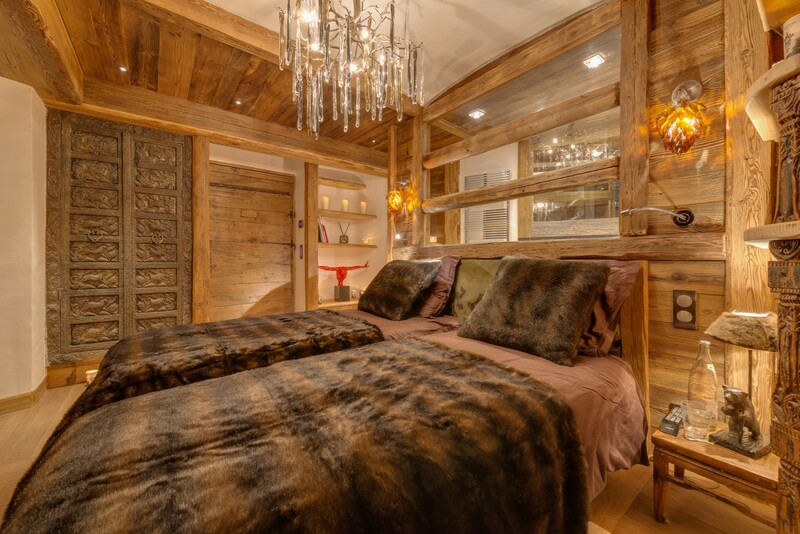 Adjoining bunk room with two beds. 2 + 2 guests maximum. Bedroom 4: Bedroom with king-size bed (which can be made up as 2 single beds upon request), heating, WIFI, plasma TV, iPod docking station and en-suite bathroom with shower, vanity, hairdryer and WC. 2 guests maximum. Bedroom 5: Bedroom with king-size bed (which can be made up as 2 single beds upon request), heating, WIFI, plasma TV, iPod docking station and en-suite bathroom with shower, vanity, hairdryer and WC. 2 guests maximum. Bedroom 6 : There are two single beds in the room adjoining the children's TV room which can be used for children if required although there is no dedicated bathroom. 2 guests maximum.